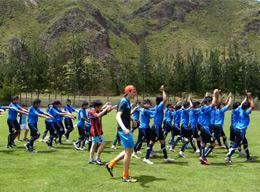 Volunteers coach football in local schools in Peru. A group of 6 students and 2 teachers from Stourpourt High School helping to teach the future starlets of Jamaican sport in Mandeville. 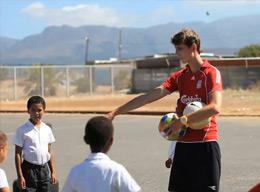 A video showing what it is like to volunteer at the Surfing project in Cape Town, South Africa. 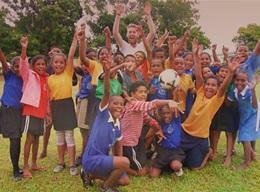 Two volunteers from the UK speak about the Sports project and their experience volunteering in Jamaica. A volunteer from the US speaks about the Sports project in Mongolia; he speaks about his experience and gives advice to future volunteers. In light of the World Cup, this video shows how Projects Abroad supports football developments in 12 countries around the world. 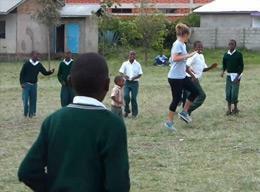 A Sports volunteer from the US talks about her time in Tanzania and how she spent her time at the Sports project. 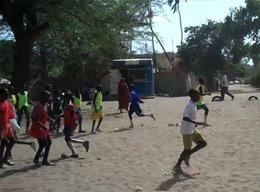 A video of our Sports projects in Senegal, see what it's like to volunteer on either the football or basketball placement. 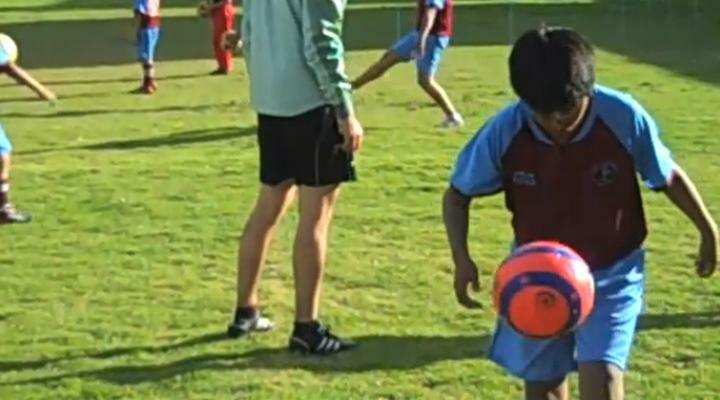 A video showing how Sports volunteers can help children in Peru develop skills, such as team work and respect for others. 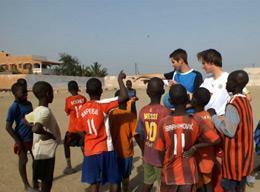 Projects Abroad volunteers describe a typical day on a football project in Senegal. 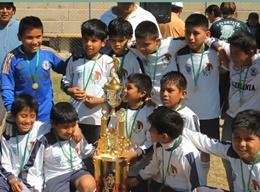 Thomas explains why he chose to volunteer on a sports project in Peru. 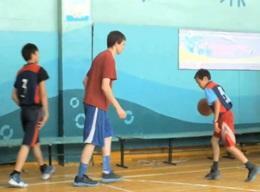 An overview of the Sports projects in South Africa. 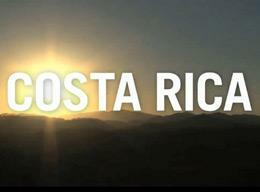 Our volunteers explain why they think you should join our surfing project in South Africa. 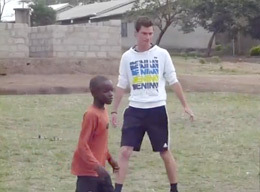 A Sports volunteer describes his experience volunteering in Tanzania, including what he loves about working with the children. 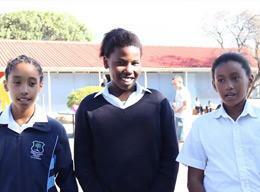 Children in South Africa talk about why they enjoy having Projects Abroad volunteers at their school. This volunteer speaks about why she chose Ghana and shows her experience coaching volleyball, baseball and basketball to school children.